I’ve known for awhile that Halloween is a BIG deal in Japan. It may be an all-American holiday that evolved from the traditions of Irish immigrants (who used to carve scary faces in turnips! ), but in Japan it’s a holiday that comes so natural. Everything about Halloween plays rather nicely with the fantasy-loving, costume-wearing, and non-cynical side of Japanese culture. They love it. Really, since August, the decorations have been everywhere–in retail centers, on doorsteps, in businesses, even on baby and doggy buggies. They’ve been really good at mimicking some of these Americanisms, but one tradition that hasn’t quite caught on yet is trick-or-treating. Which is why Halloween in our area is an even bigger deal. 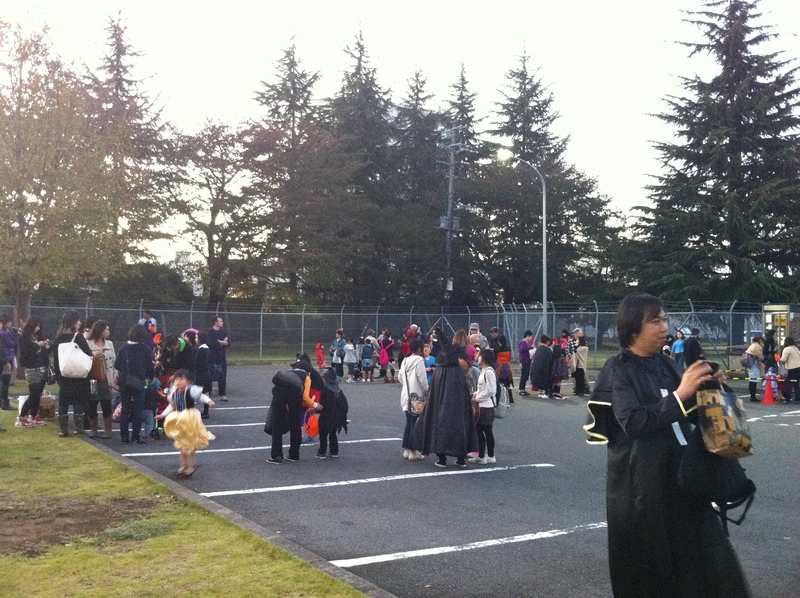 The kids in Fussa know that the Yokota Air Force Base is the place to be on Halloween. Every week since June– no exaggeration here–the lady who runs the school where I teach English has asked me if I will be here during Halloween to sign kids into the base. She’s also begged me to recruit a few extra friends to help sign on on more kids because we’re only allowed to sign in 5 people each, and of course, their parents want to come too! Getting a pass on the base during Halloween is the equivalent of getting a golden ticket into Willy Wonka’s chocolate factory. With so much at stake, thankfully I was able to convince my husband to help out (immediately following a long day of flying and 11 hour shift… no, he was not a ‘pilot’ for Halloween! ), along with my friends- Brad & KB Erickson who were more than eager to join in on the mayhem. 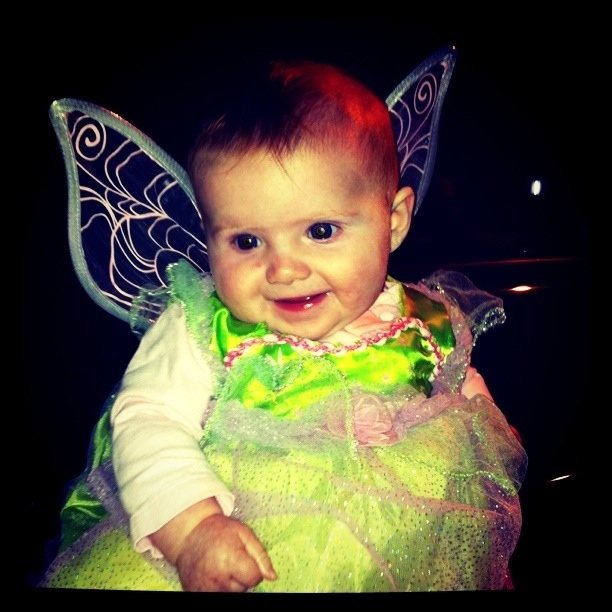 My “boss” asked us to meet her at the gate at 5pm, an hour before trick-or-treating hours had officially begun. She’s a little more high-strung than me, so I was skeptical of the timing. Did we really need to get there that early? Does it really take an hour to sign on guests during Halloween? Yeah, it does. 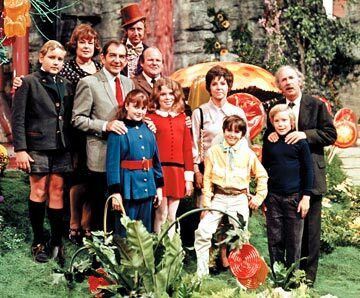 At 5 o’clock, the parking lot was already filling up with costumed kids and their costumed parents, as if they were waiting on Gene Wilder to come somersaulting down a red carpet. "I've got a golden ticket!!!" My girls were so excited but I think maybe a bit disappointed that I wasn’t in costume. Truth was, I didn’t feel like whipping out the uncomfortable gnome costume that was at the bottom of the dirty clothes pile where it fell after a party a few days prior. This was too much to communicate to my limited English-speaking pre-teens. They looked adorable. 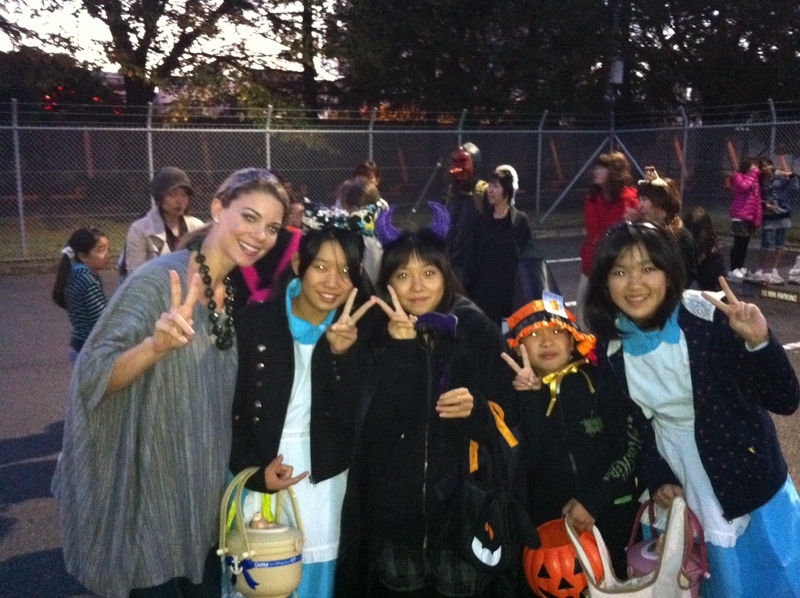 Two out of Four of them were dressed as “Alice”- I don’t know why, but they LOVE Alice in Wonderland in Japan. They were so sweet and polite as we trick-or-treated, taking their time and being sure to thank each treat-giver. I especially liked the fact that Cana, the little one here in the pictured here, held my hand so tightly the entire time. I didn’t know if it was because she was a little scared (there’s always a few houses with smoke machines and scary theatrics), or if she was enjoying my company, but either way, it’s a rare thing when Japanese people are comfortable enough with you to give you a hug or hold your hand, so I didn’t take that for granted! My friend KB’s group (bless her heart) appeared to be much younger than my girls, but it was obviously not their first trick-or-treating rodeo. They took off in a sprint, and she had a hard time keeping up with them as they dashed from house to house, trying to collect as much candy as they could in the allotted time. I guess trick or treating is the earliest lesson in logistics, right? This group didn’t speak any English, but they knew exactly what they were doing. When their bags got too full to carry, they switched to bigger ones and made her carry the excess candy baggage. The Japanese kids outnumbered the American kids about 5:1. There were so many kids that every other house had a winding line of winged & caped figures coming out of the doorway. Some of our friends said they spent more than $100 on candy and ran out! The real cool & clever streets had their own little block parties where the neighbors pooled their candy together into giant vats and passively supervised the distribution while sitting around fire pits, sipping wine and wishing everybody a Happy Halloween. A little unconventional, but I made a mental note that that’s the best way to distribute candy. My girls left happy and over-sugared (I’m sure their parents thanked us later). 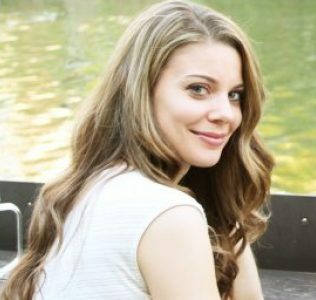 I didn’t see KB’s kids leave, but I’m sure they were pingin’ off the trees.